You can donate to the strike fund for these disputes here. The simultaneous strikes will take place at the Ministry of Justice, Health Care America and The Royal Borough of Kensington and Chelsea -- scheduled for Tuesday 7th, Wednesday 8th and Thursday 9th of August. Strikes against Amey begin tomorrow. 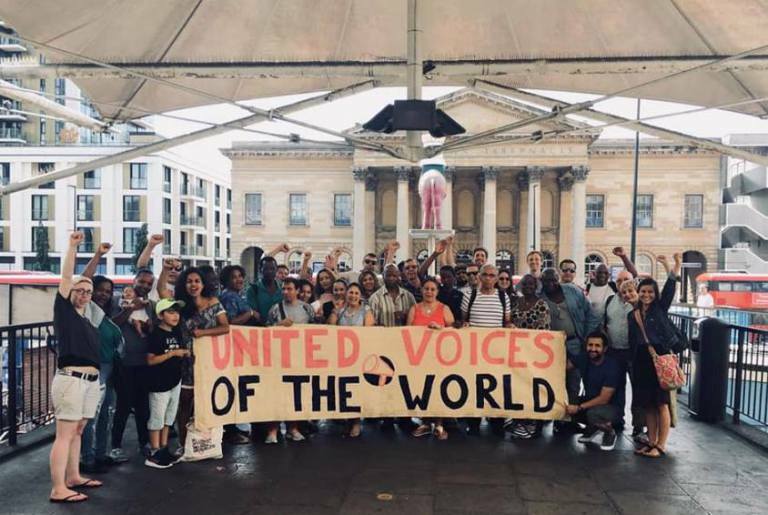 The IWW has cleaners employed by Amey in the three boroughs also going on the strike organised by the United Voices of the World at Kennsington & Chelsea. Their action is also in solidarity with their union rep who was sacked by Amey just before Christmass last year for union organising. Cheers for that - is there any information about it anywhere? I see the CAIWU are also fighting for reinstatement of one of their members at Ofcom. Translation to portuguese published by the Passa Palavra collective in their site. Cheers!